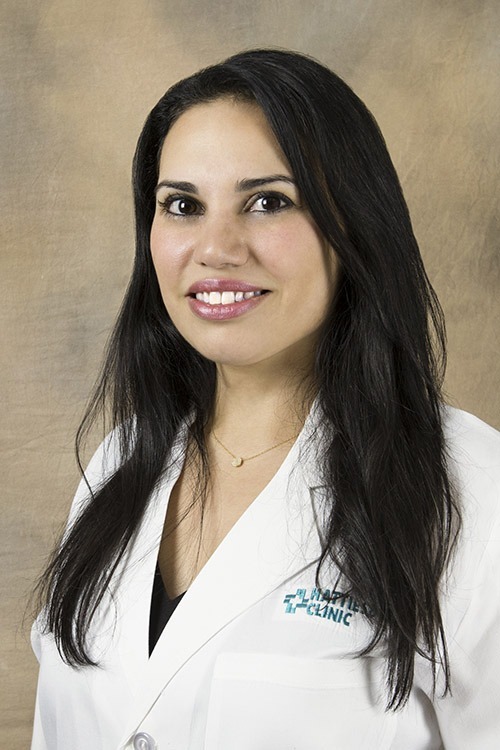 Claudia Karam, MD, is a physician at Hattiesburg Clinic Functional & Integrative Medicine. Dr. Karam received her medical degree from the American University of Beirut in Beirut, Lebanon. She completed an internship in internal medicine at Emory University in Atlanta, Ga., and her residency in physical medicine and rehabilitation at William Beaumont Hospital in Royal Oak, Mich., where she served as chief resident. Karam is board certified in physical medicine and rehabilitation by the American Board of Physical Medicine and Rehabilitation. She is also certified in anti-aging medicine by the American Academy of Anti-Aging Medicine. Prior to Hattiesburg Clinic, Karam practiced in New York City where she worked one-on-one with everyday New Yorkers and celebrities alike using her functional and integrative medicine approach. In her practice, Karam treats a wide array of issues, including weight loss, autoimmune disease, gut disturbances and other complex chronic diseases. Her goal is to provide her patients with the tools to optimize their health and overall well-being, as well as understand and treat the root causes of illness. Hattiesburg Clinic Functional & Integrative Medicine offers a unique approach to patient care by addressing the root cause of illness and allowing the patient to have a proactive role in his/her health. This form of care incorporates nutritional counseling, lifestyle modification and personalized supplementation based on the patient’s needs.